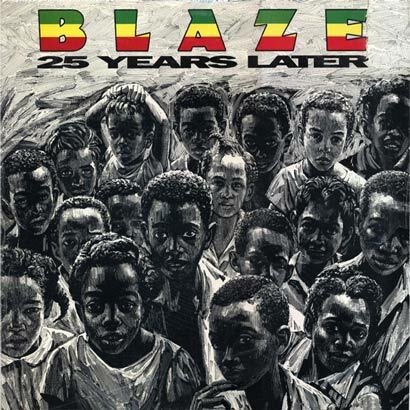 The album “25 Years Later” by Blaze is one of the best kept secrets on legendary Motown label. This soulful house release could be easily put next to the greatest 60’s & 70’s record from that legendary label without feeling like its out of place. In the words of my friend The Rawsoul, Blaze’s sound back then, end of the 80’s-early 90’s, couldn’t reach the house fans, who were still on the acid phase, nor the R’n’B fans who were in the middle of the New Jack Swing era. So this project totally flopped. But the title was kind of prophetic, because almost 25 years later, it sound fresher and more relevant than ever! The song “Get up” is an uplifting gospel-house masterpiece. The beautiful lyrics, great falsetto singing and feel good production take you on a journey you can’t forget. Definitely one of my highlights out of that album filled with superb songs. It’s the type of music they have to play at church every Sunday if they ever want me back! Blaze, minus singer Chris Herbert, went on to produce some classic house songs, under the same name and for a variety of artist in the 90’s, that greatly influence the classic NYC sound. They stayed on independent labels after their experience on a major went sour, but at least , they’re time on Motown gave us a gem everybody needs to hear. Better late than never! Future Classic: Nickolas Thee Ruin "Distant Implosions"